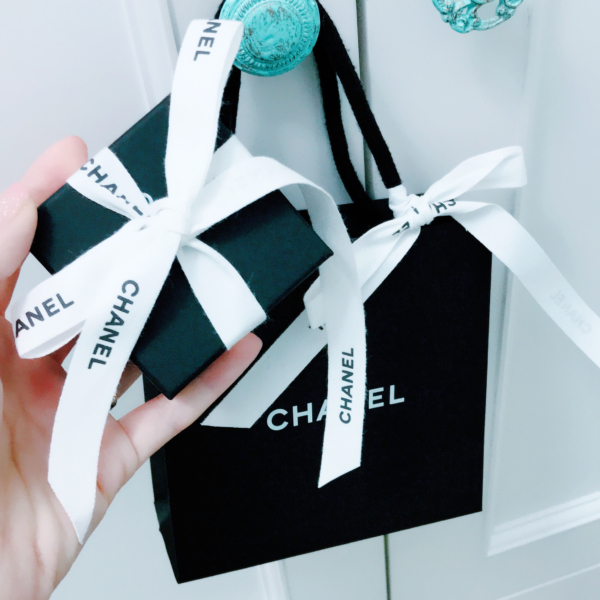 CHANEL F/W 2017 BLACK RESIN CRYSTAL EARRINGS | Beverly's Net: family. food. fashion. 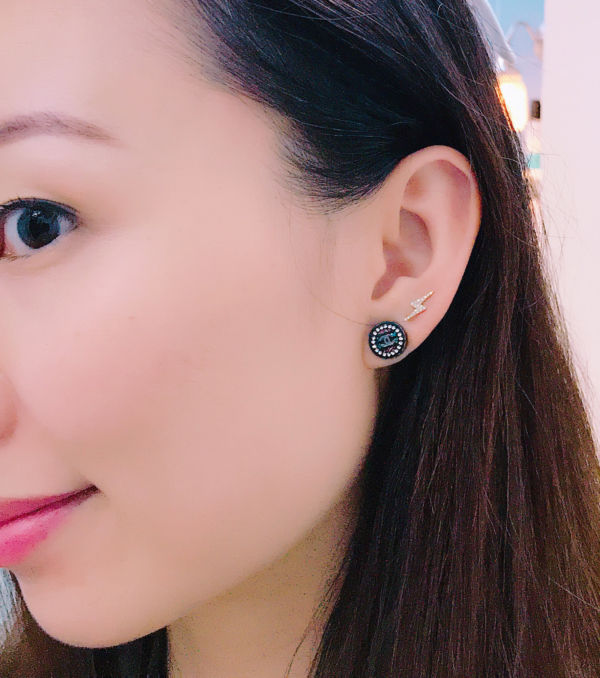 CHANEL F/W 2017 BLACK RESIN CRYSTAL EARRINGS – Beverly's Net: family. food. fashion. 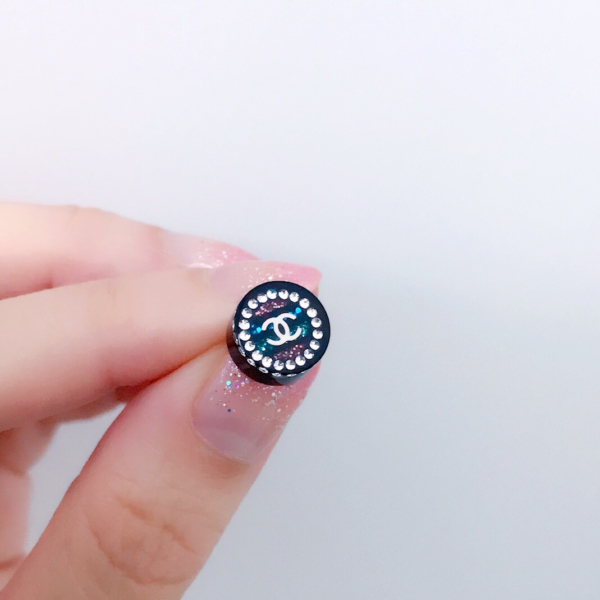 These small crystal earrings come from Chanel’s F/W 2017 collection. Yes, I only just got round to taking photos of these despite having them for quite a few months. A lot of Chanel’s jewellery tends to be pretty chunky and a little too OTT for my liking, but here and there they’ll inject in little delicate pieces that make me go oooooh! In this case, it was these little resin earrings. 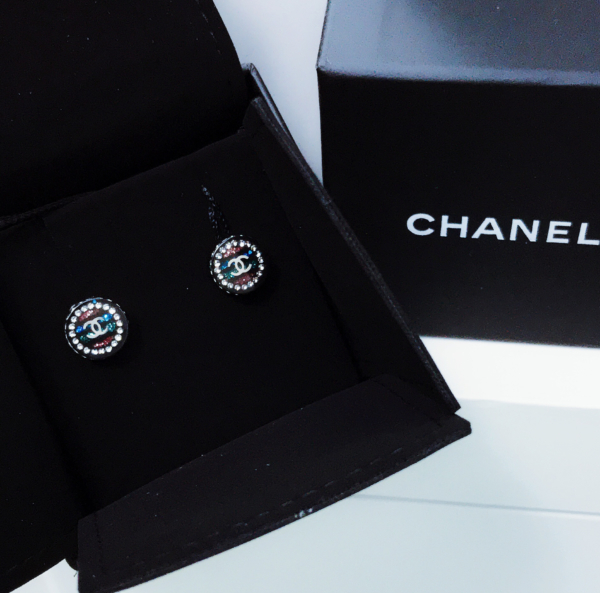 The circle of sparkling diamanté crystals caught my eye, and I like how petite the earrings are – at least for Chanel standards. The logo is super tiny and not that obvious unless someone stares right at them. Here they are on. They fit nicely on the ear lobe and are pretty unobtrusive. 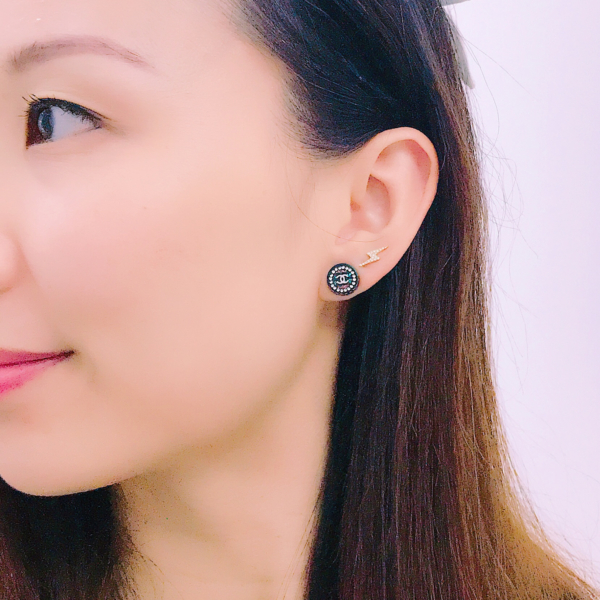 I have a thing for black earrings, I think they contrast nicely against the skin and match my hair. Super close up of these cute earrings. I’m also posting this because I’m amazed with the photo quality – this is taken with my iPhone 7 Plus! The earrings do lot a lot sparklier and prettier in real life, IMHO, but it’s still a pretty impressive mobile phone photo I reckon. 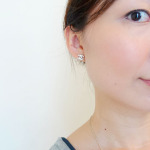 Very glad I pounced on these earrings, as when I went back to the boutique the next week, they were all sold out!